Coincidence is always so fascinating. The very fact that in American history the second President of our Nation, John Adams and the third President Thomas Jefferson both died on the very same day is truly amazing. Not only did they succumb on the same day, but coincidentally it was on the 50th birthday of our wonderful nation—–July 4, 1826. On April 14, 1865 President Lincoln was shot at Ford’s Theater in Washington D.C. The President died the next day on April 15th. Forty-seven years later to the day at 11:40 in the evening on April 14, 1912, the mighty-(thought to be unsinkable) Titanic slammed into an iceberg. Two hours and forty minutes later onApril 15th, the great ship plunged to the ocean’s bottom–two and one-half miles below the water’s surface. 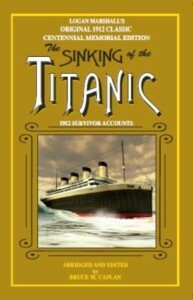 Both Lincoln and the Titanic perished on April the 15th! The coincidences concerning the Titanic get even more bizarre. In 1912, there was no Federal Income Tax in the United States. In 1913, soon after the Titanic sank there was the first income tax since the Civil War. Today we all have to file our income taxes by the same calendar date that Lincoln died and the Titanic sank—–April 15th. 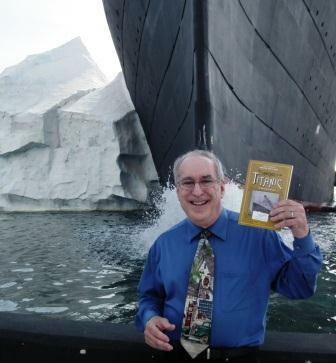 This entry was posted in Titanic controversies, Titanic dead and tagged Both Lincoln and the Titanic perished on April the 15th!, titanic coincidences on October 2, 2015 by kenrossignol.